Store your wine? Or drink it now? Both please. Does anyone still ‘cellar’ wine these days? Yes. And no. 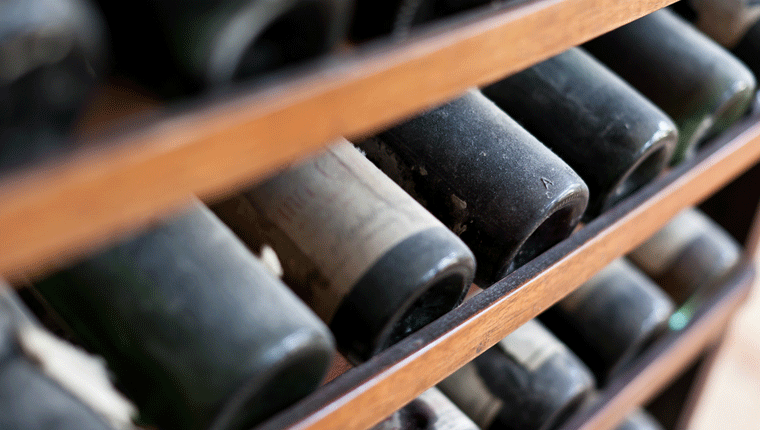 Here’s a definitive guide to the pros and cons of wine storage. Should all wine be stored? No. Many wines are produced for immediate consumption. Others will mature and develop deeper, more complex flavours over time. It depends on the wine varietal and, to some extent, year of production. Where should I store wine? From under the house in a wine rack or wine fridge, to specialist offsite wine storage companies, there are many options. The primary consideration is to ensure that storage is away from sunlight and that a consistently cool temperature (between 10 – 14°C) is maintained year round. If you’re storing any bottles for a reasonable length of time, wrap the labels in cling film to stop them deteriorating whilst the bottle’s contents mellow and ripen. Realistically there are very few of us likely to have a wine cellar at home these days. With convenient bottleshops open for longer hours, we’re more likely to buy what we need, when we need it. But there are times when storing wine is a practical necessity – you’ve bought or been given more than you need for immediate consumption – or the quality of wine really warrants giving the vintage the benefit of further maturation. Not all wine needs to be – or should be – stored. Some wines will improve greatly with age, softening any harsh tannin flavours and developing a deeper, richer colour. Others will deteriorate over time, losing their fresh, fruity flavours. So how do you know which wines to store and which to drink now? Let’s start by looking at some general guidelines around ideal cellaring length by wine varietal. Which wine varietals are best to store? Even the very finest of wines don’t require significant long-term ageing these days. Most are best enjoyed within a few years of release. But in general, the better the quality of wine, the more likely it is to benefit from some ageing. Cabernet Sauvignon is a prime example. A good Cabernet Sauvignon ages particularly well. Young vintages are high in tannin levels and acidity, both of which mellow over time. Additionally the berry fruit flavours start to develop, as well as secondary subtle flavours like toffee and the oak of the wine’s maturation process, come to the fore. Shiraz and Pinot Noir are other red varietals that are particularly appropriate to store, allowing their tannins and acids to mellow, and fruit characteristics to develop. In the white wine spectrum, Chardonnays are a particularly good example of a worthwhile varietal to ‘lay down’ for a few years. Similar to Cabernet Sauvignon, the Chardonnay’s fruit and secondary flavours increase whilst the acid and oak nuances become less dominant. Riesling and Semillon also benefit from ageing, allowing their flavour complexity to develop and colours change from yellows and greens to deeper golds. Conversely, wines that are produced for ready consumption, such as Sauvignon Blanc and Rosé, should be enjoyed in their zesty, fruity youth. Unless you’re a serious wine buff*, following a few simple guidelines will help ensure your wine stored at home matures as it’s meant to. The key factors are temperature, humidity and movement. Cool and stable temperature conditions with low humidity are really quite essential. If nothing else, make sure you store your wine somewhere out of the sun, in a position that’s relatively cool all year round. It’s no good keeping wine in the garage, for example, if it’s nice and cool during winter but heats up over summer. Some people choose to lay down their bottles under the house, or under the stairs, and these can work as long as the environment meets the above criteria. To achieve the third requirement, limited movement of the bottles, it’s wise to invest in either a wine rack or wine fridge. Heat and humidity can irreparably damage a vintage wine. Too much heat and the wine can develop prematurely and oxidise (which leads to the growth of vinegar bacteria), achieving flavours the vintner never intended. Too much humidity and corked wine can develop mould on the cork, too little humidity and the cork can shrink and cause leakage. Movement of the wine can result in its sediments being disturbed and make it unpleasantly gritty, as well as potentially speed up the maturation process. Of the three considerations above, movement is the least significant factor, but still, it’s best not to shake the wine bottle as if you’re about to spray the crowd after winning the F1. The majority consensus is that all wine – whether using a screwtop, cork or other sealant – should be stored on its side. This isn’t just to stop oxidisation, for example, of a corked bottle but to identify any leaks in damaged bottles. It’s also space-efficient. Unless you’re willing to stack the bottles on top of each other on the floor (which makes access to the bottles at the bottom pretty tricky), you should consider investing in a wine rack. These vary greatly in size and budget so find the best one suitable for your needs; there’s no reason other than your own purchase parameters to select wood over say metal or plastic, it’s entirely up to you. If you’re unable to find a space that provides the temperature consistency good wine storage needs, you may want to consider investing in a wine fridge. These are thermostatically controlled fridges with scalloped racks designed just to house wine, and you’ll look ever the professional if you’ve got one of these. How long should I store? From a French Beaujolais which is a light, fruity wine intended to be drunk within weeks – if not days – to a Penfolds Grange which can stand cellaring for up to 50 years, the length of time to store wine varies almost by bottle. Here’s a very general rule of thumb. Don’t cellar all wine; some wines are produced for immediate consumption, others for ‘laying down’. Check with your wine vendor if in doubt. As a general rule of thumb, reds are more likely to need time to mature than whites but this is not always the case. See the above varietal guide or check with your wine vendor. Ideally, wine should not be stored in an environment warmer than ~15°C, has high humidity or allows direct sunlight. Between 10 - 15°C and 65-750% humidity is best. Wines with corks should be stored lying down (to keep the cork wet); screwtop bottles can be stored at any angle. Red wines can be stored well in a wine rack. White wines can be stored well in a wine rack or wine fridge. * If you really are serious about your wine collection, there are a number of professional, off-site storage facilities in Australia, including Wine Vault, Cellarit and Self-Storage, that offer climate controlled environments with ready access.